It’s officially been over a month since Rihanna blessed the beauty community with her highly anticipated makeup line, Fenty Beauty. 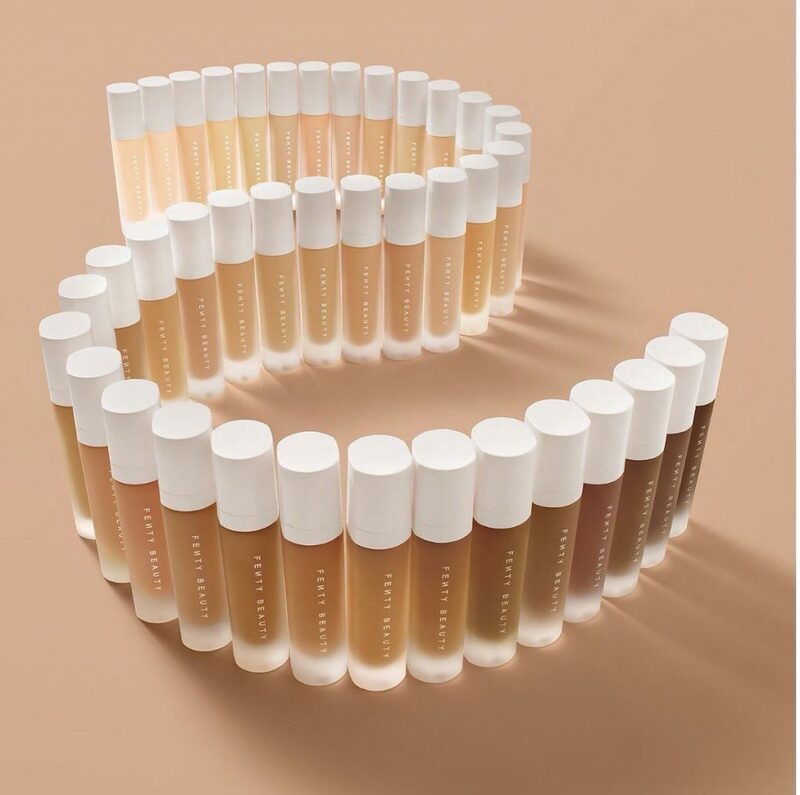 Not only was this a game changer because it’s Rihanna (duh), but the Pro Filt’r Soft Matte Longwear Foundation features 40 shades that you often don’t see from top beauty companies. Most women of color find that foundation shades from popular brands are way too light or ashy for their complexion, have the wrong undertones, or there simply isn’t a shade option for them. 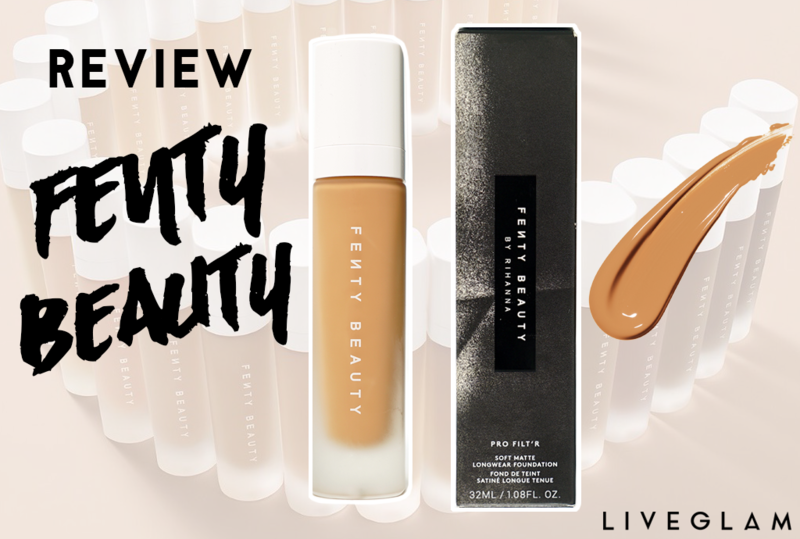 With Fenty Beauty, everyone can feel included and find a shade that actually matches their skintone. I personally have been dying to try the foundation since it’s release, and after testing it out for a couple of days, here is my honest review of it. Let’s start off with some basic info about the foundation. It’s $34 for a 1.08oz glass bottle with a pump, which I’m a big fan of. A little also goes a long way, so the $34 seems worth it and aligns with the price of several other high end foundations. Now that we know what it’s supposed to do, let’s talk about what it actually did for me. 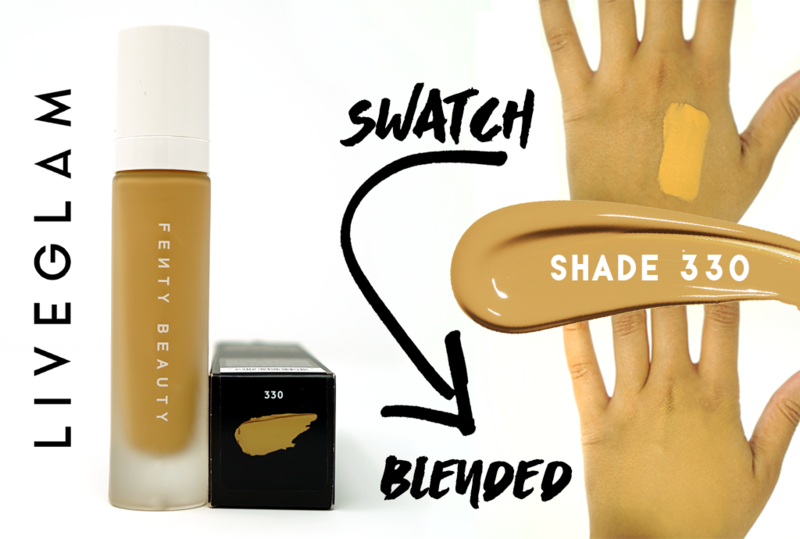 I found selecting a shade online to be extremely easy, thanks to lots of available references on YouTube, as well as the guide on the Fenty Beauty site. Rihanna’s shade is also in 340, so I knew I was about 1 shade lighter than her and got the 330 (warm). On the site, they recommend letting the formula dry completely to reveal it’s truest color. Also, if you’re deciding between two shades, go for the lighter shade. With these tips, 330 turned out to be the perfect match for me, and I didn’t even have to get a sample first to know for sure. If you’re unsure about how to choose a foundation shade that matches your skin, check out our blog post about it here! To apply the foundation, I turned to our fabulous LiveGlam Brush Club, MorpheMe. I used the E6 Flat Buffer from our September Collection to apply 1 coat, which created a flawless finish for me. Since it is a matte foundation, you only have about 1 minute to blend it out before it sets. After it sets, it is not budging, so work quickly! The first thing I noticed is how super lightweight the foundation is. It honestly feels like you have nothing on your face. It claims to be a medium-to-full coverage foundation, but leans more on the medium side (which I personally prefer). However, it is buildable and you can achieve that full-coverage look using more coats. The other thing I noticed is how pleasant the scent of the foundation is. It doesn’t smell like chemicals at all, and is also cruelty-free. After letting the foundation completely set, I experienced no oxidation and my skin still looked very natural. It also felt velvety smooth and blurred all imperfections. I do have oily skin, so the fact that this is a matte foundation is ideal for me. However, if you have very dry skin, this may not be suitable for you as it could look patchy and flaky. Hopefully Riri comes out with a dewy foundation for you dry-skin babes! The first time I wore this foundation, I didn’t apply powder or any other product just to see how it would perform. I did start to get oily about 3 hours in, but it’s unlikely that I would ever wear foundation without powder anyway so this experiment was kind of pointless (but I couldn’t help it, I was curious). The second time I wore it and applied my usual powder and setting spray, the foundation lasted about 7 hours without my skin getting terribly oily. Knowing my skin, I was super satisfied with this result. While I didn’t get the chance to sweat or face any humidity while wearing it, I have a feeling it would hold up pretty well. Everyone’s skin is different, so this foundation is going to perform differently on every face. I personally loved this formula and it will likely become my new go-to for a while. If you’ve tried out this foundation, let us know how it worked for you in the comments below! 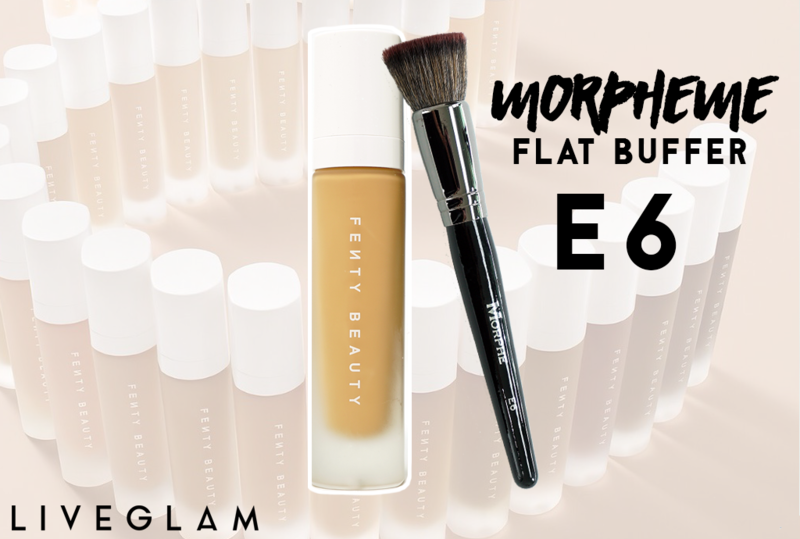 Also, be sure to check out our LiveGlam Brush Club, MorpheMe, to achieve a flawless face using quality brushes. Every month you’ll get 3-8 new Morphe brushes delivered straight to your door for just $19.99, and you can trade, skip, or cancel your membership at anytime. It almost sounds to good to be true, doesn’t it? Learn more here! Gina: great review thank you!! Liz: Thank you for giving an honest review. I’m was planning on buying this foundation tomorrow, and now I know for sure I will! Can’t wait to try it.